By the time Johnny Leonard Roosevelt Martin had celebrated his sixth birthday, the Oklahoma native had not only made it to the Major Leagues but hit for a .300 average, led the St. Louis Cardinals to a World Championship and turned in one of the greatest postseason performances in baseball history. Of course, Martin, who went by the nickname “Pepper,” was only six years old in the sense that he was born on a Leap Day, Feb. 29, 1904. That meant that by the time he helped the Cardinals defeat the Philadelphia Athletics in the 1931 World Series, his “true” birthday had occurred just six times. In reality, Pepper Martin was a 27-year-old standout that year, at the start of a prolific career with the Redbirds that would include two world titles and four All-Star appearances. 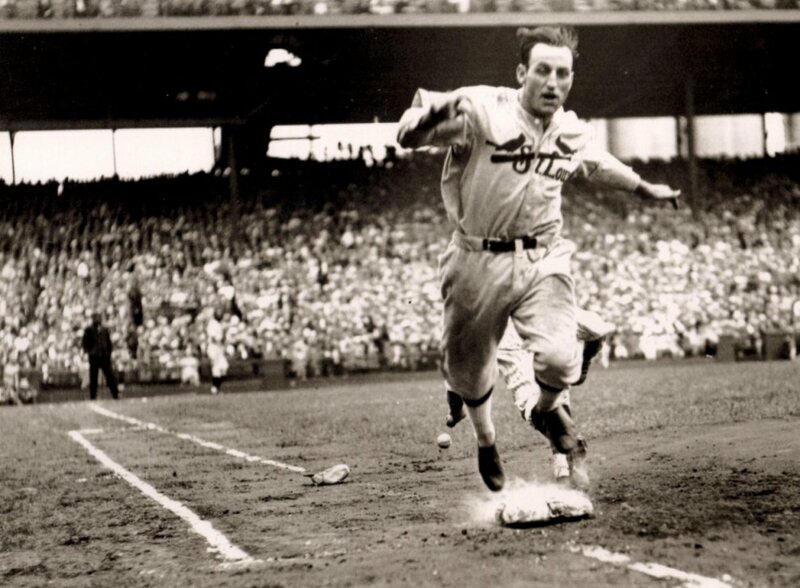 Called the Wild Horse of the Osage for his aggressive style of play, Martin attacked the game with a style similar to Ty Cobb and Pete Rose, though injuries prevented him from enjoying the lengthier career of either of the latter two players, both Hall of Famers. A key member of the Cardinals’ Gashouse Gang that included such standouts as Frankie Frisch, Dizzy Dean, Joe Medwick and Leo Durocher, Martin posted a career .298 batting average and a .443 slugging percentage. Perhaps his greatest season was his first full campaign in the big leagues, 1931. Despite beginning the season on the bench, Martin took over as a starter midway through the year and ended with a .300 batting average, seven home runs and 75 runs batted in to help the Cardinals clinch the 1931 National League pennant by 13 games over the New York Giants. History be damned, let’s sell some beer! No one would dispute that a bit of “creative license” is to be expected when it comes to advertising. Few distort reality with more regularity and aplomb than American brewery companies. These are the folks that would have you believe that the low-grade swill they pump out daily in quantities equivalent to that of a supertanker is a full-bodied, uniquely brewed, refreshingly satisfying beer. In reality once you’re of legal drinking age you quickly come to the realization that not only do the ads in question leave a bit to be desired in terms of promises versus reality, but that you’re reluctant to even dump the slop in question into the steaming radiator of a rusting ‘63 Studebaker Lark for fear the suds will eat their way through the cooling system. Indeed, it would seem that the more a beer ad promises and the more effort the company puts into selling its product, the lower the quality of the brew. 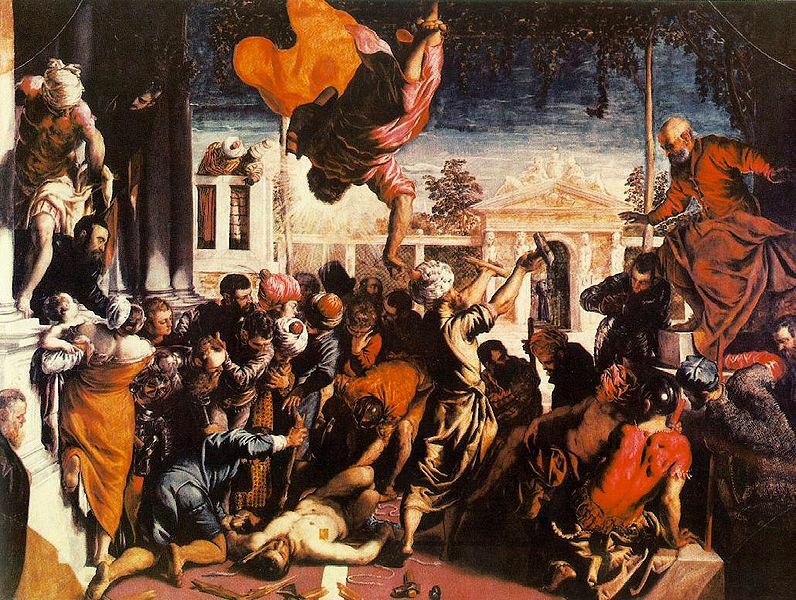 How prideful was the Renaissance painter Tintoretto? He once turned down a knighthood from French king Henry III because, it is said, he did not want to kneel down. The 16th-century Venetian master, who was so productive that he was known as Il Furioso, is the subject of an exhibition that opened in Rome this past weekend. The exhibition, which follows the painter’s career from his days as an ambitious disciple of Titian to a bitter old age, focuses on the three main themes that distinguish the artist’s work: religion, mythology and portraiture. It runs through June. Tintoretto, born in 1518, owed his nickname to his father who was a manufacturer of dyes (“tinta” in Italian). He became one of the greatest practitioners of the Venetian style. The exhibition begins with one of his monumental works “The Miracle of the Slave,” painted in 1548 and measuring 14 feet by 18 feet. 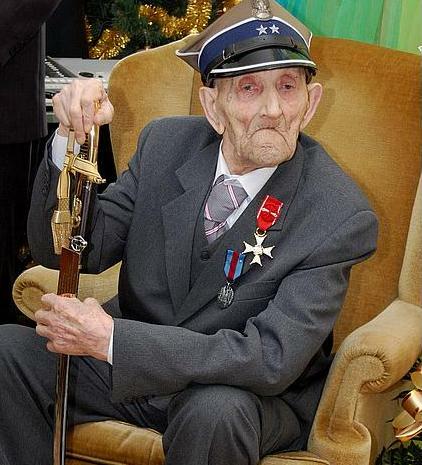 More than 90 years after first enlisting, a 112-year-old Polish officer has been promoted to captain. Poland’s Defense Ministry said on Friday that Józef Kowalski, a veteran of both the 1919-21 Polish-Soviet War and World War II, had been promoted from lieutenant to captain. In a statement, the ministry said that Defense Minister Tomasz Siemoniak visited Kowalski in a nursing home in Tursk, in western Poland, on Thursday to award him his promotion, according to The Associated Press. Kowalski was born Feb. 2, 1900, in what was then the Austro-Hungarian Empire. He fought in a Polish cavalry unit formed during World War I, the 22nd Uhlan Regiment, but given that Kowalski is not listed as a veteran of the Great War, he apparently did not see action during the bloody 1914-18 conflict. Kowalski is listed as the only survivor of Poland’s victorious war against Bolshevik Russia, which broke out in February 1919. It said that after the war he studied at a cavalry school but chose to return to his family farm. The Polish-Soviet War pitted the newly formed Soviet Russia and Soviet Ukraine against the Poland and the Ukrainian People’s Republic. 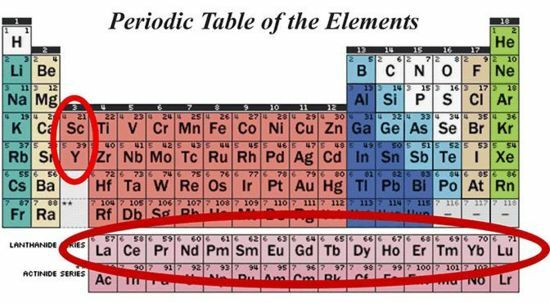 Ask the average western world resident what they know about the rare earth elements and you’ll likely get either a blank stare or painfully vague recollections from high school chemistry. Yet, the 17 elements that are classified as rare earths are critical to manufacturing a wide variety of high-tech products, everything from missiles and computer hard drives to iPods and cell phones. Which is why China’s call this week for greater use of rare earths for its own domestic manufacturing – a de facto admission that Beijing seeks to limit exports of the vital resource – is bad news for technology-dependent nations such as those in North America and the European Union. China is the world’s largest producer of rare earths, producing more than 97 percent of the world’s supply, according to CNN. Its move to dictate production and exports have raised a global outcry, according to Agence France-Presse. Beijing’s goal is to boost the use of rare earths in its own high-end manufacturing, said the Ministry of Industry and Information Technology. The nation will “give full play to China’s dominant position of rare earths resources to expand the scale of the rare earths new materials industry,” it said in a development plan for 2011-2015 posted on its website late Wednesday. 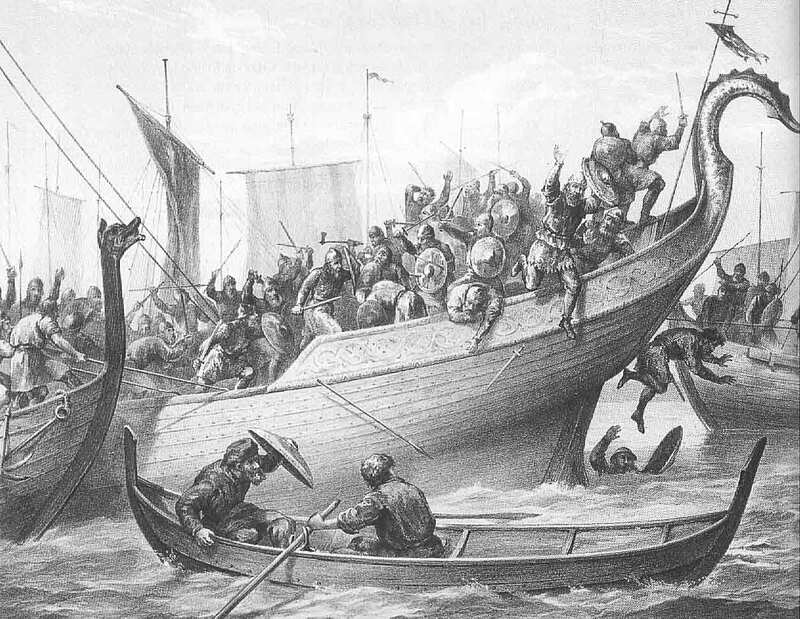 A Viking sword dating back more than 1,000 years has been found in Norway. Construction workers building residential homes in the village of Melhus, in central Norway, recently unearthed what is being described as an “unusually well-preserved Viking sword,” possibly from a grave site. The site developer then contacted archaeologists from the Museum of Natural History and Archaeology, part of the Norwegian University of Science and Technology in nearby Trondheim. Museum officials confirmed that the piece is indeed a Viking weapon, what is classified as a Type H sword, and likely dates from between 800 and 950 AD. The H sword is well-preserved and experts are very enthusiastic about the discovery, according to The Foreigner, an English-language Norwegian media outlet. Of the more than 200 H swords recovered, about seven of every 10 have been double-edged weapons. 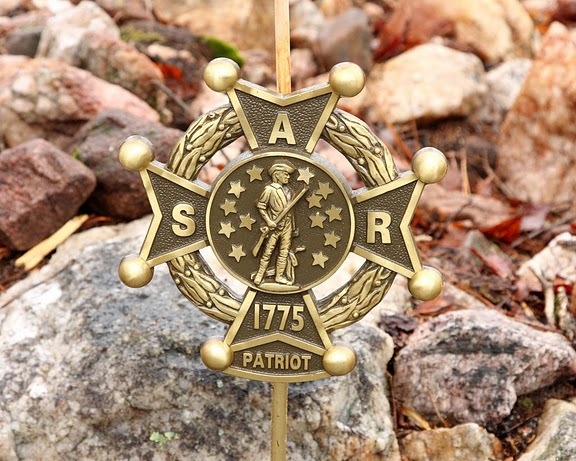 A descendant of a chieftain’s son kidnapped from Africa and sold into slavery in Massachusetts more than 250 years ago will become the first black member inducted into a North Carolina chapter of the Sons of the American Revolution this weekend. Chaz Moore, 30, is a descendant of Toby Gilmore, the son of a chieftain in coastal West Africa who was kidnapped at 16 and sold into slavery in Massachusetts. He gained his freedom after fighting for American independence against the British. Moore, a native of Worcester, Mass., only recently learned he had an ancestor who had joined the Colonists’ side during the Revolutionary War. Moore has been a Raleigh firefighter for about five years. On Saturday, he’ll become the first black inducted into the North Carolina chapter of the Sons of the American Revolution in a ceremony at the state Museum of History, according to The Associated Press.